I chased this butterfly for quite a while before it settled down on a leaf and let me take a photograph! I did not know what it was at the time, but subsequently discovered that it is a species which is endemic to Sulawesi called Hypolimnas diomea Hewitson, 1861. William C. Hewitson being the gentleman who first named it in a book entitled ‘Illustrations of New Species of Exotic Butterflies’. This beautifully illustrated book is available online (1). William Hewitson (1806–1878), was a wealthy collector of beetles and butterflies – and a very fine artist – but he relied mainly on collectors to supply him with specimens and did not visit the tropics as far as I am aware. These butterflies usually exhibit pronounced sexual dimorphism, a fancy way of saying that the males and females look very different. They are also often mimics – meaning that they look very similar to – milkweed butterflies (Danaids) which are poisonous to birds (or at least they spit them out and learn to avoid preying on them!). The male of this species (H. diomea) has a lovely purple colour on the upper-sides of its wings, rather than the white of the female (shown here). 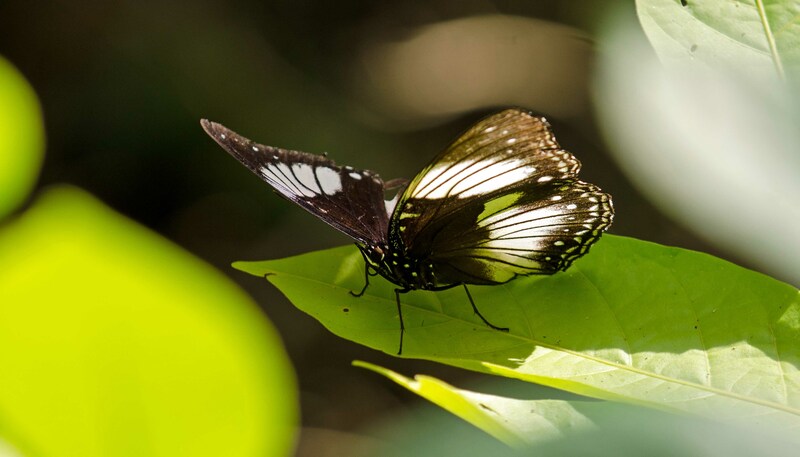 It is only the female which is a mimic in this species (2); probably of taxonomically very different butterflies called Crows, such as Euploea diocletianus and E. latifasciata, which feed on toxic milkweed plants (2). I came across this butterfly whilst walking along a small road near Highland Resort, about 5 miles from Tomahon (on the road to Kali village). 2) R. I. VANE-WRIGHT, P. R. ACKERY and R. L. SMILES (1977). 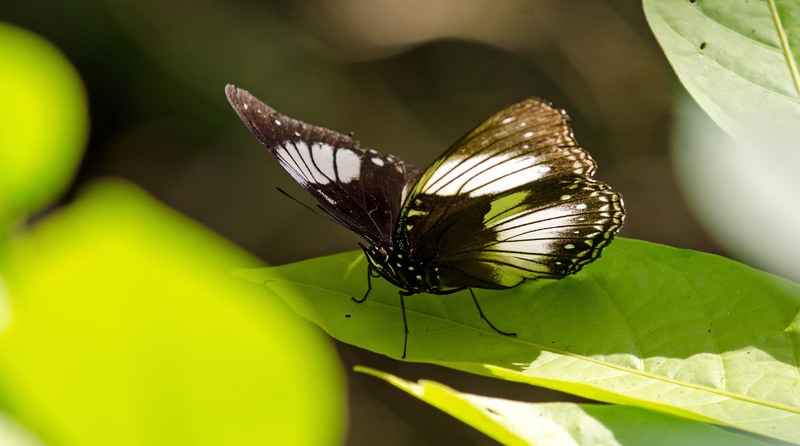 The polymorphism, mimicry, and host plant relations of Hypolimnas butterflies. Biological Journal of the Linnean Society 9(3), 285-297. Previous Previous post: You are so nice, I could eat you! Next Next post: A comma, not a full stop!